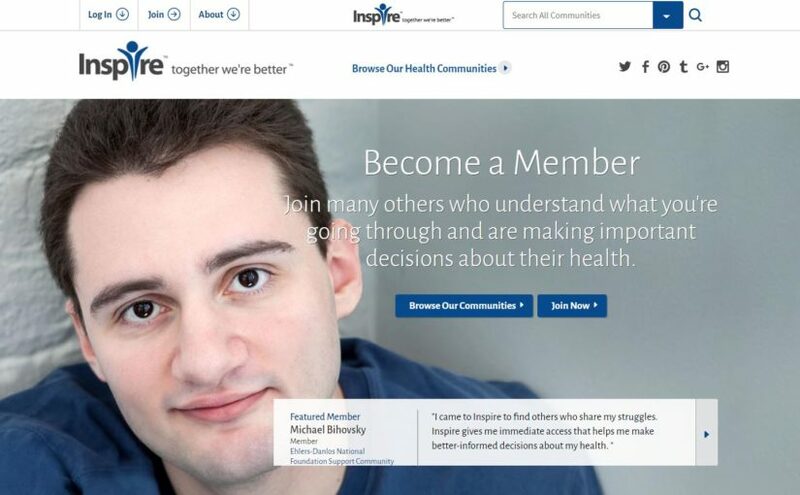 User-generated content from patients with a shared condition drives online healthcare communities like the Inspire Network, which offers several hundred support groups. Every hospital and healthcare delivery system wants to build a deep connection with patients, families, and the community. But sometimes far more powerful connections can be formed when the organization takes a step back and allows those audiences to connect with each other with user-generated content. Cultivating an online community of patients, who share a common condition, disease, or experience, can be an effective way to build loyalty to your organization while delivering helpful information to the group, according to a recent webinar by the New England Society for Healthcare Communications (NESHCO). And the best part is you’re empowering group members to create that content. Treatment information – Who’s doing a clinical trial? Emotional support – camaraderie with others affected by the same thing, like bladder cancer, or cirrhosis. Loyalty – the warmth of the group that gets people coming back because they feel like they’re part of something. These communities live and die on user-generated content. They should be places of peer-to-peer communication. This is not the forum to promote the health system, provide tips from your physicians, or post an “Ask the Expert” column. After all, “everyone is an expert in their own condition,” noted John Novack, who oversees the million-member Inspire health and wellness social network. And these de facto experts frequently want to share their knowledge and experiences with others. If members of the group are exchanging information and it’s seamless, they will feel like the community is their own, and that’s good. It can be scary, Novack said, because you’re not controlling the content, but you can be the guiding light. That means identifying active contributors, and leveraging them (if they want to be leveraged) into community “champions.” These members may already be blogging, speaking, creating videos on YouTube or serving on patient advisory councils. To build champions, said Colleen Young, community director for Mayo Clinic Connect, “watch their activity and behavior online, and nurture it. Think about rewards – you can never say thank you enough, and there are many ways to thank people.” She adds that simply being given the opportunity to contribute user-generated content can be meaningful “compensation” for those with a voice they want to have heard. Encourage commenting. Every page should allow comments. This will foster engagement, and those asking a question one day will be the same ones answering that question the next. Reduce barriers to get people to engage. Make sure the registration process is easy, and connecting with others is simple. Think of the population you want to attract, and see if there are barriers specific to those members. Consider featuring “boutique” pages or blogs within the community. Think of these as specialty shops within a shopping mall, where visitors can get information specific to them. Moderate, but resist interfering. The Mayo Clinic has a staff of five monitors for Connect, to ensure everyone is respectful and following the rules. Intercede only when necessary, such as when someone starts giving hard-and-fast “thou shalts” or dispensing medical advice that’s not grounded in their own experience. Learn from your community. Not only can members learn from each other, your clinical staff can learn from them. Young recalled how a nursing team monitoring the Mayo community gained a better understanding of what it’s like to be in an epileptic unit, awaiting a seizure. The direct feedback of patients is a great way to see what it’s like on the other side of the gurney. Don’t expect overnight success. When you see a successful community, it looks easy, but the upfront work is hard. You have to nurture it, and this will take time and effort. You don’t have to recreate the wheel. There are online communities like Connect, or Inspire, that you can partner with. If you’re thinking about creating a community, do the research first…you may find an existing community you can hitch your wagon to. The Internet has created an ability for more people to gather more information about diseases than ever before. Patient-to-patient networking is emerging as a valuable resource. If your healthcare organization is poised to facilitate this, and create a community in which people want to connect and share experiences, wonderful things can happen. Podcasting: Is it a Good Fit? A few months ago, we touched on the broad topic of Podcasting for Healthcare – and why it’s one of the fastest growing sectors of marketing. As they say, it’s not rocket science. Getting involved is relatively inexpensive (compared to TV advertising, anyway). It’s a great way to reach a targeted audience. Furthermore, your targets probably are more open to listening to the message you’re presenting. After all, they’ve taken the positive action to sign on to your podcast, and they can listen to it at their leisure. Thus you’ll have a friendly, captive audience while your podcast is running. But is it right for you? There’s no easy answer – especially for healthcare organizations who face any number of competing challenges within their annual budget considerations. As part of a recent webinar offered by New England Society for Healthcare Communications (NESHCO), Hartford HealthCare social media specialist Carol Vassar noted that the audience for podcast listeners – which continues to grow by 21% to 24% per year – is probably within health marketers’ sweet spot. Most podcast listeners are within the 18 to 54 age range (the audience leans slightly male). In addition, the typical listener is affluent, well-educated and is increasingly likely to prefer ad-free or ad-light experiences. To determine if podcasting is a god fit, as in any marketing effort, it’s essential to establish clear goals. What is it you want to accomplish by developing a podcasting initiative? In addition, you need to have a clear vision of what success will look like. There are a number of additional questions you need to ask yourself before embarking on a podcasting adventure. How well does the idea of podcasting mesh with your overall marketing strategy? If you’re heavy into content creation and digital marketing, podcasting could be a perfect fit. As earned media specialists, we at SPRYTE are very partial to content marketing. What is the story you are trying to tell? In any kind of communication designed to persuade – whether it’s to get a sale, get a vote, earn a positive opinion – the most effective communication will be that which tells the most convincing and relatable story. If you’re already creating great content for other pieces of your marketing effort, such as for newsletters (digital or print) and social media, you’ve already got a head start in creating an effective podcasting platform. The more clearly you can delineate who your target audiences are, the better you will be able to adapt your content to best match their needs and interests. Who is it you are trying to reach? Young or soon-to-be-mothers? Weekend warriors? People dealing with cancer or heart disease? Individuals experiencing issues related to behavioral health? No doubt you will want to include an experienced writer who can help you outline or script out what will be said during the podcast. Keep in mind that writing for the ear is different from writing for the reader. It’s shorter. And sharper. It’s also important to have a good graphic designer on your team to ensure that covers and advertising are professional-looking and attractive when they are presented on iTunes, Stitcher or another potential distributor. Finally, you’ll need dependable experts to assist you in audio production and technical support. Taking raw audio and getting it into a format that’s presentable takes a special production talent. Technical aspects such as timing segments appropriately, selecting music (if desired) and getting the product ready for an RSS or XML Feed to the listener’s podcaster all take very specialized creative skills. Generally speaking, creating a podcasting initiative is relatively inexpensive. (But not free.) 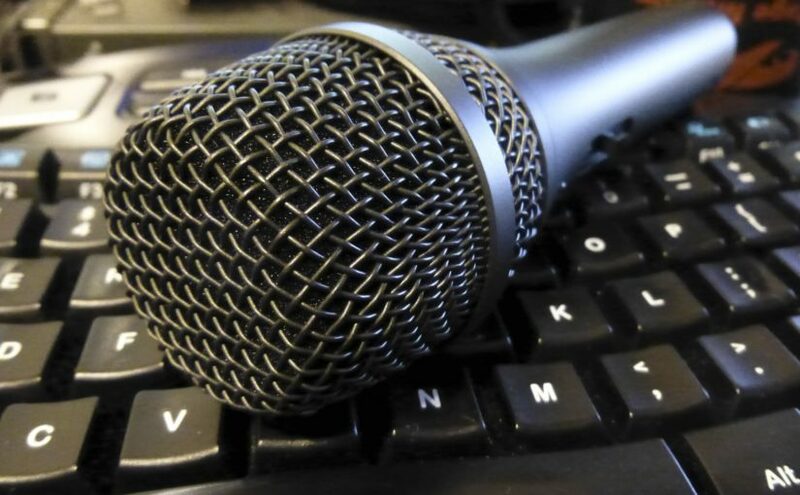 In addition to a hosting service, which will likely run about $20 a month, the basic equipment you will need to produce your own podcast includes a microphone, headphones, and recording and editing equipment. Both Carol Vassar (NESHCO webinar) and a recent Wall Street Journal review singled out Blue Yeti as a high quality microphone brand ideal for podcasting. It can plug directly into your computer’s USB. Cost-wise it runs around $130. High quality headphones are essential so that you can monitor various levels while you’re recording. Sony’s studio-quality MDR-7506 headphones ($99-$130) are an option again recommended by both Vassar and the WSJ. Vassar also recommends the AKG K2450 ($70) and the Audio Technica ATHM20X ($50) as cost-efficient alternatives. Avoid buying headphones where the microphone is attached. It might work well for telephone call centers, but not for radio or podcasts. As for editing software, there are several good options available. Apple’s GarageBand is one free option that is user-friendly and also compatible with iTunes. Audacity® is free, open source, cross-platform audio software for multi-track recording and editing. Audacity is available for Windows®, Mac®, GNU/Linux® and other operating systems. Finally, Hindenburg is another low-cost editing software made specifically for radio and podcast users that’s easy to use and provides a lot of powerful editing and mixing features. Those are the basics you will need to get started. Naturally costs will increase if you opt for more creative services such as professional voiceovers, music licensing fees or professional editing services. As we’ve seen from the recent spate of mergers, acquisitions, affiliations and IPOs, the healthcare marketplace is only getting more competitive. For healthcare communicators trying to get an edge, podcasting may be a viable and affordable avenue to consider.